Are you a WordPress Plugin developer? WordPress Plugins allow easy modification, customization, and enhancement to a WordPress blog. Instead of changing the core programming of WordPress, you can add functionality with WordPress Plugins. 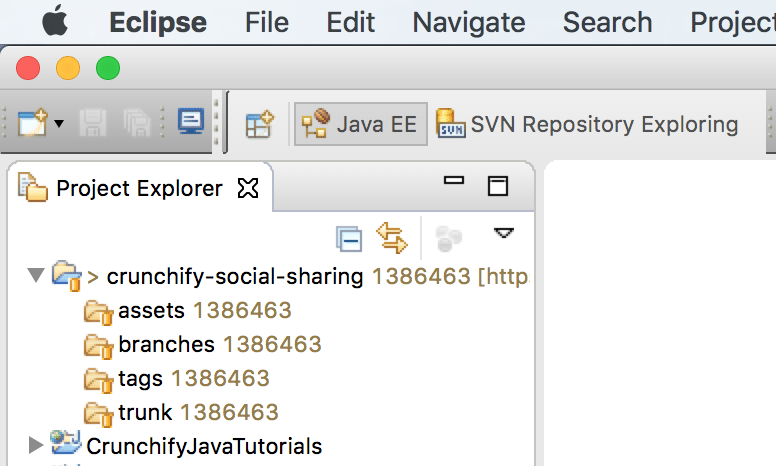 As I usually do all my Java and PHP development in Eclipse, I started exploring subversion SVN plugin for Eclipse and it worked very well for me. In this tutorial we will go over steps on how to setup Eclipse for WordPress Plugin development and commit. Search with keyword subversion as you see in below diagram. Follow the next steps to install the selected Subversive features using the standard plug-in installation procedure. Next screen will ask you to install Subversion SVN Connectors. 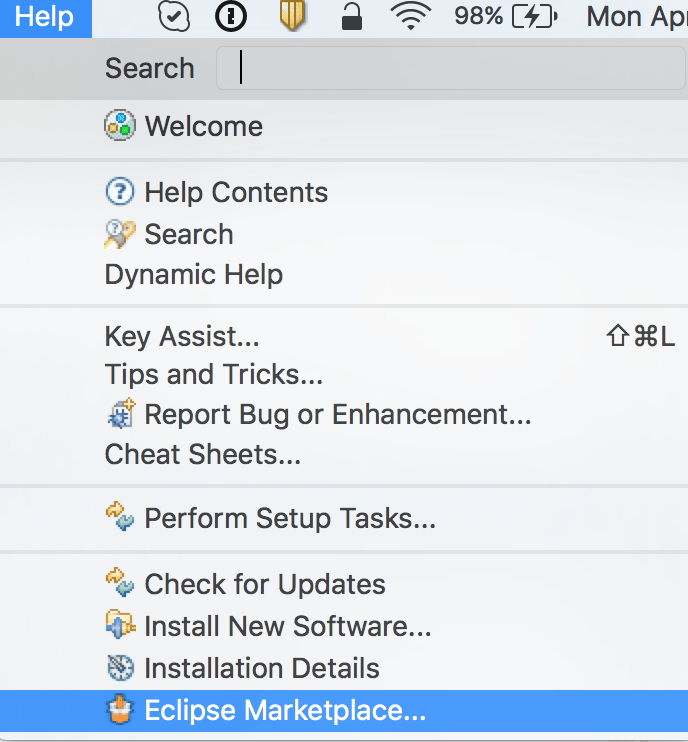 Restart your Eclipse if popup ask you to restart it. Click Next and add your plugin SVN URL, Username & Password and you are all set. 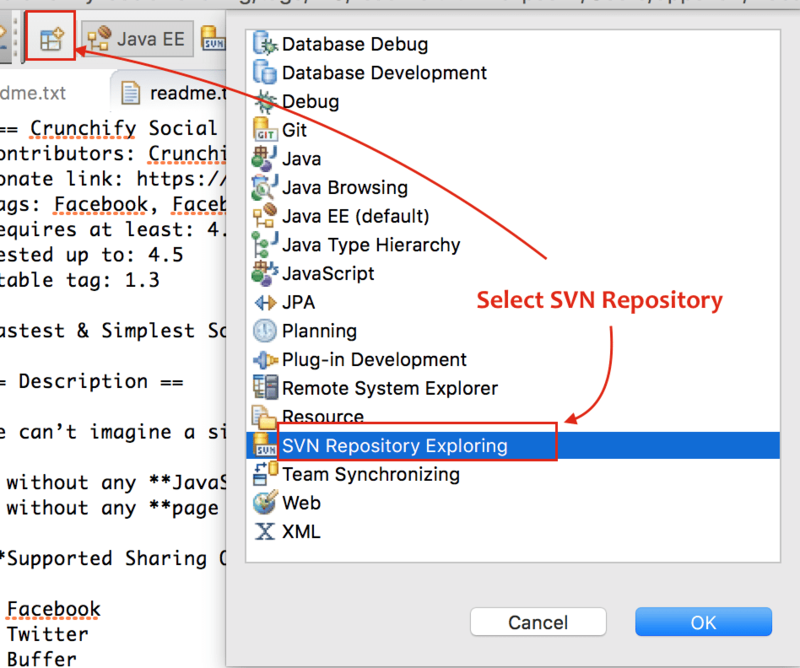 Right Click on SVN Repository and Click on Checkout. This will create local copy of your WordPress Plugin Repository. Now Change to “Java EE Perspective” and checkout folder structure under “Project Explorer“. Do let me know if you find any problem with this.